The NHL regular season is just around the corner and hockey fans everywhere are drooling like a dog awaiting dinner. The Boston Bruins are poised to have another rock-solid season after finishing the 2017-18 campaign just a win shy of the No. 1 seed in the Eastern Conference. With a young core set to start their sophomore seasons, things are only looking up for the Bruins. As we look ahead, there are a number of other facets of the 2018-19 season that could breed success for Boston. With that said, it seems to be an appropriate time to make some predictions in regards to player performance and team transactions. While predictions are more or less educated guesses, the ones within this article seem likely as opposed to wishful thinking. Zdeno Chara will turn 42 this year. Some are amazed that the defenseman is still able to play top-two minutes. I used to be among those who claim that he wouldn’t still be in the NHL if it weren’t for his size and reach – but like the captain himself, there’s a giant contributing factor to Chara’s success in the twilight of his career. Chara has a similar regimen to that of New England Patriots quarterback and future Hall-of-Famer Tom Brady, who has also eclipsed age 40. From breakfast to lunch to dinner and to snacks, the 6-foot-9 defenseman has one of the strictest diets among athletes today. Coupling that with four to six hours of training per day, you can see why Chara is set to embark on his 21st NHL campaign. Last season, Chara played alongside future phenom Charlie McAvoy who helped the veteran produce seven goals and 17 assists in 73 games. While the blueliner’s 50-point seasons feel like a distant memory, his skills in his own zone remain unquestioned. The speed may no longer there (if it really ever was) but Chara relies on his experience to keep some of the league’s best scorers at bay. Take the recent first-round series against the Toronto Maple Leafs for example – Auston Matthews was only able to register two points while William Nylander tallied just a goal and three assists, both of whom were among Toronto’s top-three scorers during the regular season. The Bruins have been taking it year-by-year with Chara, and wisely so. 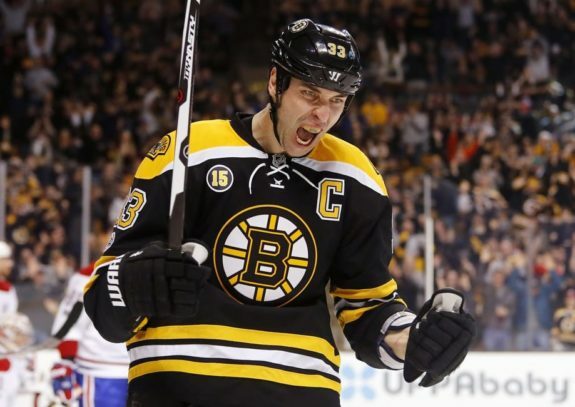 However, if the Bruins fall short of a Stanley Cup in 2019, they will likely remain contenders throughout the next handful of seasons which gives Chara every reason to keep on going. The defenseman is undoubtedly hungry for another championship, and there is no better way to go out than on top. It is no secret that David Krejci has struggled in recent years. As the highest paid Bruin with a $7.25 million annual cap hit, the second-line center hasn’t had performances worthy of that pay grade. However, there a number of reasons that tilt the odds in favor of Krejci eclipsing the 60-points threshold. The Czech native has done just that in five of his 12 NHL seasons to date. Entering his 13th campaign, Krejci is poised for a bounce back. Throughout his career, the 32-year-old has never seen his 60-point seasons broken up by more than a single year. That trend was broken by the 2017-18 campaign in which Krejci followed up a 54-point 2016-17 season with 44 points last year. However, Krejci was banged up last season resulting in just 64 appearances. There is a solid argument that if the centerman stayed healthy, he could have had his sixth 60-point season (he was trending for roughly 56 points if he appeared in all 82 contests). To tilt the odds even more in Krejci’s favor, he could be handed a lethal scorer in David Pastrnak. The winger lit the lamp 35 times last season and chipped in with 45 helpers for a total of 80 points in 82 games. Pastrnak could be bumped down to the second line for the sake of well-rounded scoring. If this is the case, Krejci would have two solid wingers in his fellow countryman as well as 21-year-old Jake DeBrusk which only bodes well for the veteran’s production. The Bruins are in the midst of a revolution with young forwards making their mark and locking down full-time roles within the lineup. If Pastrnak is to drop down to the second line, Anders Bjork, Danton Heinen, and Ryan Donato are likely candidates to play on Patrice Bergeron’s right wing. 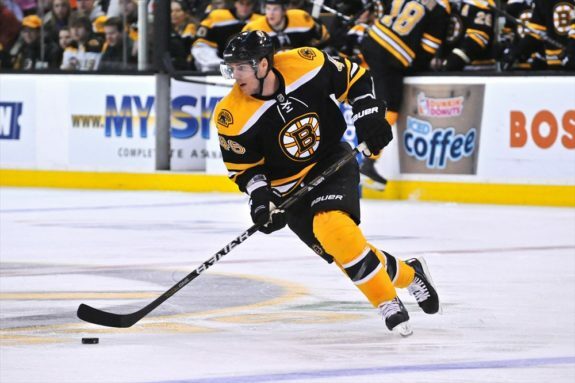 While these up-and-coming forwards are full of excitement, I think the Bruins will ultimately wind up bolstering their roster with a top-six winger at the trade deadline. 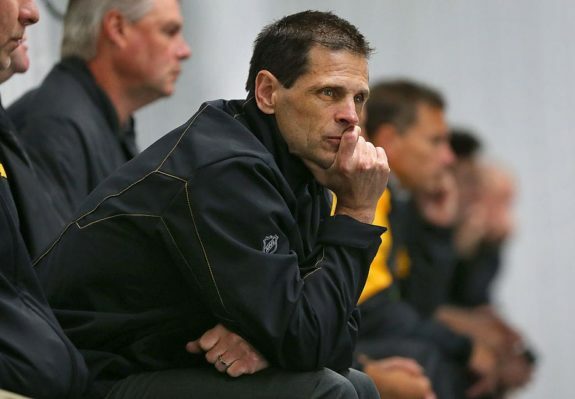 Of course, how the young guns perform must be seen before general manager Don Sweeney makes any moves. If whoever is selected to play alongside Bergeron and Brad Marchand puts up numbers north of 60 points this season, then an acquisition is not of dire need. However, that would require any one of those candidates to exceed expectations. Otherwise, Boston will likely target a second-line right winger so they can reinstall one of the best lines in hockey throughout the 2017-18 season. Even if Bergeron and Marchand’s future linemate does rise to the occasion, I would be dumbfounded if the Bruins didn’t add a forward to bolster their top-nine at the trade deadline. Sweeney has shown that he was willing to add a winger this offseason, most notably in the forms of Artemi Panarin trade rumors and the fact that he threw his hat in the ring during the Ilya Kovalchuk bidding war. With tough customers such as the Maple Leafs, Tampa Bay Lightning, and Flordia Panthers in the Atlantic Division (not to mention the contenders residing in the Metropolitan Division), Boston will undoubtedly need to add something as they make their way into the playoffs – preferably a player with a number of NHL seasons under his belt. The team did just that with Brian Gionta last season, though it didn’t exactly pan out. In his 16th NHL season, Gionta appeared in 20 regular season games with the Bruins (seven points) and just one game during their postseason run. Perhaps Sweeney can learn from the Gionta experiment and add some depth via trade as opposed to free agency – that is if he doesn’t feel the need to chase down a top-six winger.